Review date: 6 October 2005. Hi-fi enthusiasts have a thing about separate components. Integrated components bad. Separate components good. Amplifier, tuner and pre-amplifier in one box? No! Separate boxes. Always separate. Real audiophile systems (and I use the word more or less in the pejorative sense) don't just have separate boxes for the pre-amp and the power amp. They have separate power amps for each channel. What am I saying? Not just two separate amps for a stereo system! Active crossovers, and separate amps for the treble, mid-range and bass! Things like this are the stuff of audiophile nightmares. Separate. Definitely gotta be separate. Separate enclosures also let you use components made by different companies, and upgrade to really top-rate gear a step at a time. If you buy your outrageously overengineered equipment unit by unit, you can preserve your marriage for, oh, as much as four or five months longer than you would if you dropped the whole price-of-a-car in one hit. Separate boxes also give more room for playing with ludicrous interconnects, power cords and whatnot. Headphone listeners, however, often feel a bit left out of all of this fun. There's good reason for lots of people, not just fat-walleted golden-eared audiophiles, to use a separate headphone amplifier. As I've explained in my previous headphone amp reviews, most portable players, many home hi-fi components and an awful lot of computers have quite lousy headphone output. You can easily tell the difference in sound quality, background noise and battery life (for portable players, not laptops) if you invest in even a quite cheap headphone amp. But you can go further. You can add another, that's right, separate component. These are, at present, the only two members of HeadRoom's Micro Line. 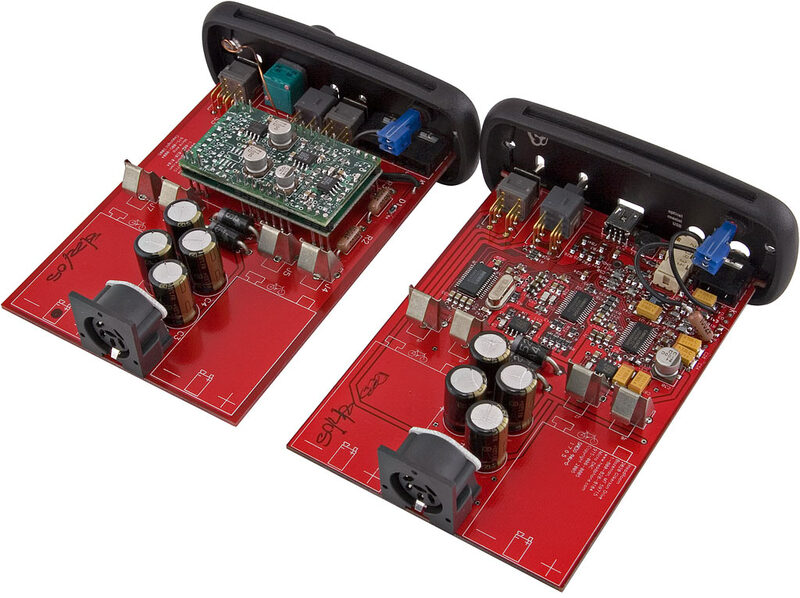 One Micro Amp, one Micro DAC, each selling for a mere $US299. Which is a lot from most people's point of view, but not much by audiophile standards. You don't, of course, have to buy both of these little boxes. They each serve a function by themselves. The Micro Amp is what you'd think it'd be; a headphone amplifier, suitable for use with various sources. It's got a couple of 1/8th inch stereo sockets (one for input, one for output), a volume knob, a three-position gain switch so you can use the volume control properly whether you've got the amp plugged into a weedy-portable, regular-line-level or pro-line-level source, a power LED, a power selector switch (of which more in a moment) and a crossfeed switch. I explain crossfeed in my BitHead review. In brief, it mixes each stereo channel with an attenuated, lightly delayed version of the opposite channel, and makes headphones sound more like speakers (and old ultra-stereo mixes much more tolerable). Most people will want it on most of the time. The Micro DAC is a bit more esoteric. It's an outboard Digital to Analogue Converter. It accepts digital data of one kind or another and outputs line level audio, suitable for further amplification by the Micro Amp or any of squillions of other audio components. The idea of outboard DACs is that they're meant to sound better than the DACs built into various digital audio devices - CD players, DVD players, computer audio adapters and so on. In some cases, outboard DACs very definitely do sound better, because the standard line level output sounds like crap. This is the case for a lot of computers; audio quality isn't a big priority for computer manufacturers, and it's hard to shield low-level analogue audio circuitry from the radio frequency noise storm inside a PC, so you often get all sorts of dreadfulness from the "Line/Headphone Out" socket on a computer. It doesn't take time to detect the problem; the hiss you hear the moment you plug in headphones or speakers (the noise often modulates in interesting ways as the image on the screen changes...) gives it away. Adding an outboard DAC to equipment whose existing line out doesn't sound terrible is a less defensible decision. Some fancy audiophile gear doesn't even have line level outputs (a "CD transport", for instance, is a CD player with no analogue outputs), but most of it does. I'd bet you a couple of teeth that most of the audiophiles who buy separate DACs would not, in a properly blinded test, be able to tell the difference. If you'd like to give the outboard-DAC idea a go, though, the Micro DAC is not at all a bad place to start. The reason for that is simple enough - despite costing "only" $US299, it's a very flexible device. 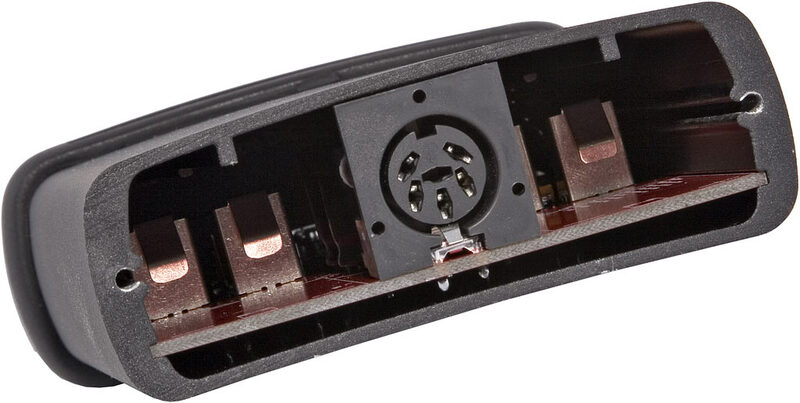 It's only got two input sockets, but it can take three kinds of input - both electrical and optical S/PDIF (both through the one 1/8th inch socket - 1/8th inch optical cables have the optical window on the end of the plug), and USB. The digital input will accept any kind of stereo audio - 16 or 24 bit, and 44.1, 48 or 96kHz. Digital output used to be a strange and exotic feature, but today every bloomin' thing's got it, including $50 DVD players and similarly cheap sound cards. Cheap gear like this is, of course, pretty much certain to have lousy line output. But digital will, by definition, be clean, and adapters to give you a 1/8th inch plug from the more common RCA or TOSLINK digital connectors are cheap and easy to find. 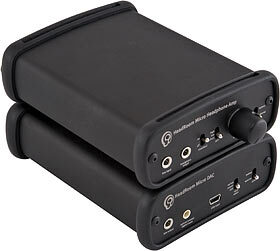 The Micro DAC is, as far as a PC, Mac or reasonably recent Linux box is concerned, just a standard USB audio device. Plug and go, no extra drivers needed. There's a switch on the front of the Micro DAC that selects which of the three inputs you want to use, but the USB hardware works even when it's not selected. So you can plug the DAC into a computer and some other source at the same time and switch between them without the computer thinking an audio adapter's coming and going. The Micro DAC has only one other control on the front - another power selector switch. The two Micros are built into identical high-strength extruded aluminium cases. They've got a loose rubber tongue-and-groove arrangement on the ends that lets them stack. HeadRoom are pleased to call the result a "Micro Stack". The back panels are the same, too. As you can see, you get to choose between DC input (via a mildly cumbersome, but not-going-to-come-unplugged-by-accident, DIN connector) and battery power. Dual nine volt battery power, to be precise. 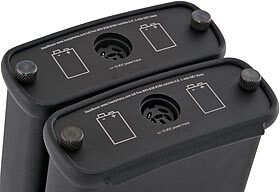 Undo the two thumbscrews on the back (no driver needed, but try not to lose the non-captive washers...) and lo, there's the battery bay. Easy installation, easy removal. The Micro DAC will run for about eight hours from a couple of alkaline batteries (or longer, maybe even twice as long, with a couple of money-no-object lithium nine volters). The Micro Amp may run quite a bit longer, or may not. More on that in a moment. 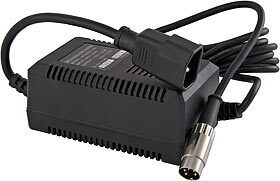 The power supplies for the Micros are identical, but come in two flavours - one for 110/120V, and one for 220/240V. I got the latter, since I'm in Australia. HeadRoom have side-stepped the awkward problem of the world's umpteen power plug standards by giving the power supplies a simple IEC socket on the end of a stubby cable. You have to provide your own IEC power lead (the IEC connectors will plug straight into the back of a Euro-socketed UPS, but the stubby cables aren't really long enough for that to work properly), but those are cheap, and most nerds have a box full of them already. Note also the chunky metal DIN plug. None of your plastic three-dollar-MIDI-cable rubbish here. If you completely dismantle the Micros (well, almost completely; I ran out of dedication before detaching the front panels from the boards), you can see that the Micro Amp (on the left) has a funny little double-decker daughterboard on top of its tasteful red mainboard. That board is the actual amplifier "Module". You get a choice of two Modules in the Micro Amp. This green double-stack board is the Desktop Module. If it were red, it'd be the Micro Module. HeadRoom say the Desktop Module's made to provide 20 hours of play time from four D cells in the chunky battery pack for this amp. The Micro Module is specced to give 20 hours from two 9V batteries, so it's the obvious choice for people who want to use a Micro Amp with portable gear. HeadRoom's run time numbers don't totally make sense, since four alkaline D cells contain around eleven times as much energy (4 times 1.5 volts times better than 20 amp-hours) as two alkaline 9 volt batteries (2 times 9 volts times six hundred and something milliamp-hours) - and the capacity of the 9V batteries will sag under this heavy a load. The main boards in these amps are basically just life support systems for the Modules (as you can see, from the upgrade prices); they're not eating much energy to light the power LED. Regardless of how the exact numbers stack up, though, the choice is still simple enough. If you're doing lots of portable listening you want a Micro Amp with a Micro Module, and if you're not you want the Desktop Module. The Micro Amp costs the same with either Module. I expected a long list of obvious sonic improvements from the $US598 Micro Amp and DAC combination, compared with the mere $US269 Total BitHead. The BitHeads are optimised for low power consumption, because they have to run from either USB power (2.5 watts shared over everything plugged into each root port) or four AAA cells (total energy content about 1.3 times that of a single 9V battery). The result is that you can't wind them up too far, especially from lousy five volt USB power, before the "I'm distorting, you jackass" light turns on. This hardly matters unless you've got particularly inefficient (and/or very high impedance) headphones, though. A BitHead can give me a headache with various regular headphones, and that's a big flashing hearing-damage warning right there. You can damage your hearing with prolonged exposure to sound a lot quieter than you might think. Still, for what it's worth, I expected the Micro Stack to have a lot more headroom than either BitHead. And I wasn't disappointed. The Micro DAC has a nice strong line out, to start with. I don't think it exceeds the 1.585VRMS pro line level standard, but it's clearly got much more current capacity than line level outputs normally deliver. When I was trying to figure out why I wasn't hearing much (because the amp's IEC plug was loose), I plugged my headphones straight into the DAC's line out and had a brief VERY LOUD EXPERIENCE. And, from any input (with the appropriate gain switch setting), the Micro Amp should be able to drive even annoying 600 ohm low efficiency 'phones loud enough to drown out those pesky Martians invading the planet. Of course, a bit more level is totally not worth spending a lot more money on. I could detect no substantive difference between the BitHead and the Total BitHead - yeah, yeah, upgraded components, tighter tolerances, magic fairy dust, whatever - so I was expecting a similarly underwhelming experience from the Mini Stack. This setup really does sound very noticeably better. Bass, for a start, is obviously better than either BitHead could manage. Because faithful reproduction of bass takes much more power than faithful reproduction of treble, low power headphone amps commonly mildly mangle bass waveforms. Portable players are famous for this; they can reproduce bass just fine into a very small load (like, for instance, the input of a separate headphone amp...), but load 'em up with even a humble little pair of foam-padded portable headphones and, cutting through the technobabble about slew rates and waveform harmonics, they start making ski-jumps out of mesas on the oscilloscope. One small player doesn't do this; maybe there are more. I hadn't noticed anything wrong with the BitHeads' bass, but now I did. Chalk and cheese. No question. Everything that sounded good through the BitHeads sounded better through the Micro Stack. And, blessedly, tracks of genuinely low audio quality - like mash-ups made out of loops that've been tempo-shifted, vocal-extracted, folded, spindled and mutilated - didn't sound any worse. I am acutely aware, here, that I am not just teetering on the edge of the audiophile malarkey abyss; I'm sliding into it on a toboggan. But prolonged listening, and swapping between the outputs of different gear (with and without the DAC) confirmed it. The Micro Amp and Micro Stack really do sound clearly, immediately better than anything else I've got around here. I think I'm not fooling myself. But I would, wouldn't I? I'm not, after all, doing proper blinded volume-matched tests; I can't even very quickly switch between sources, especially on a computer (which thinks the Micro DAC and the BitHead are the same thing, but which can't just keep on playing when you unplug one and plug in the other; you have to restart your player application in between). In my defence, the difference really jumped out and bit me. I wasn't switching back and forth for days seeing if I could pin it down. It was right there saying hello every time. And, unlike most starry-eyed audiophiles, I'm not invested in these things. I didn't drop a bunch of dough on the Stack and, now, feel compelled to sing its praises lest I look like a doofus for buying it. 'Cos I, you know, got it for free. Anyhow, if what I think I hear is real, all sorts of music can benefit from the Micro Amp or whole Stack. "Hearing things in familiar music that you've never heard before" is an audiophile cliché, but I, well, did. The organ intro to "Familiar Feeling", pretty much any section of Murray Perahia showing off - even Music That Should Not Be. I did most of my listening with AKG K 271s, but tried others. Every pair of headphones that was worth listening through in the first place was better through the Micros. As random play wended its endearing way from Clannad's Harry's Game directly to Van Halen's Eruption, to Come To Daddy, then to Stuffy, the Micros didn't, to coin a phrase, hit one bum note. Electronic music of low, medium and high complexity? All lovely. Even John Williams buried in sludge sounded as good as you could expect. And never have I heard the phrase "Lord, I'm drunker than a one-legged cat trying to bury a turd on a frozen lake I tell you" more clearly. It had to be done sooner or later. I clicked the gain to Medium, wound the volume to 11.5 o'clock, and sparked up the Passacaglia and Fugue in C Minor, the undisputed champion motivational soundtrack for people with very high collars (or, you know, the equivalent) and a fleet of planet-smashing star dreadnaughts. That test was passed, too. I did have to reduce the volume a bit half way through, though, to avoid later having to poke my tympanic membranes back up my nose with pencils. So, you know, I think these things might just be worth the money. Yes, I managed to find a couple of things wrong. Like a lot of audio gear, the Micro Amp doesn't have bulletproof RF shielding. If you put a GSM mobile phone near it, you'll be able to hear the bzzz-bzz-bzz of the phone chatting with its base station from time to time. More importantly - but still not very importantly - the Micro Amp's volume control is slightly lopsided at low levels. At low settings, my review unit's right channel is obviously louder than its left. Unless you've got incredibly sensitive headphones and/or an inordinately powerful input, though, you can get around this problem (if your Micro Amp has it) by using the "low" setting on the gain switch. That lets you keep the volume low without using the very leftmost portion of the volume control's travel. Oh, and the gain switch on the Micro Amp is close to the crossfeed switch. So you might flick the wrong one now and then. That's about it in the problem department, though. Maybe this is how it starts. Maybe the batcrap insane audiophiles who believe odd numbers sound better than even ones all began like this, and the very expensive rubber room awaits me, too. But as long as I haven't started listening to wire, I think I'm OK. And I also think the Micro Stack sounds better, clearly, than a Total BitHead, which itself sounds better, clearly, than the headphone outputs of an awful lot of commonly used gear. You don't need headphones that cost more than even one of these little black boxes to derive benefit from them. The AKGs with which I did a lot of my listening are going for a couple of hundred US dollars, and there are some excellent cheaper options. If your headphones are truly cheap, of course, then you should upgrade them before you start mucking about with separate componentry to feed 'em. If you've crossed that bridge already, though, you may be seriously surprised by what one of these little black boxes can do for you. Review Micro Stack kindly provided by HeadRoom.